Over the past 16 years, 1,700 engaged and committed Midnight Golf Program participants have been admitted to more than 100 colleges and universities across the United States. Download the Impact Report here. 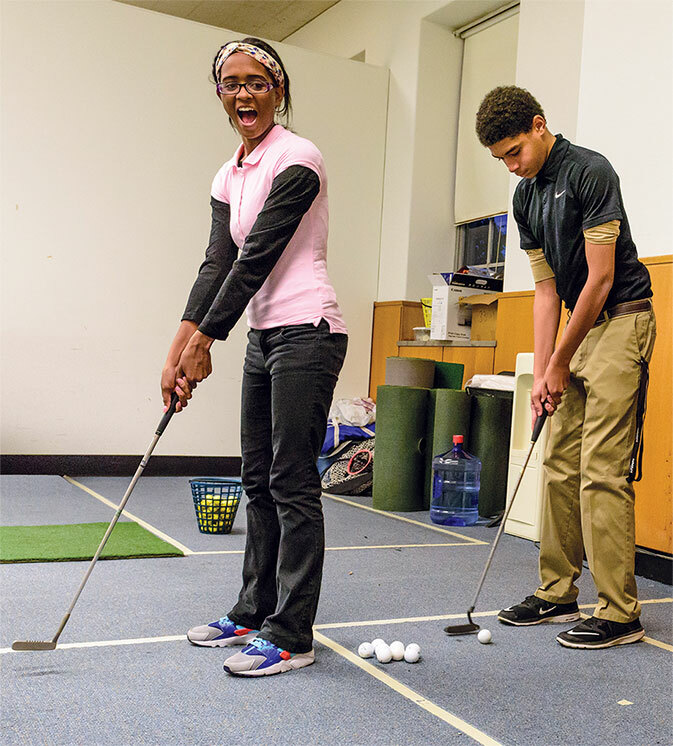 The Midnight Golf Program boasts a 100 percent college acceptance rate for all seniors. See the full list here. Our program has impacted the lives of more than 1,700 young adults since it began. These are just a few of the success stories from our alumni. Mentors work directly with young people to make sure they have what they need to stay on track, are accountable and are moving forward. Read more here. Midnight Golf Program is a private, nonprofit 501(c)3 organization. See the financials here. Photos of young people in our program are shared here. Highlights include images from this year’s Road Trip for Success College Tour. View them here. Participants, alumni and mentors share their wisdom about the program and its life-changing impact on the young people who are involved. Watch them here. 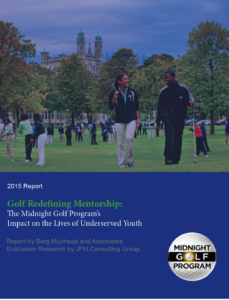 A report conducted in 2015 by JFM Consulting Group, Golf Redefining Mentorship: The Midnight Golf Program’s Impact on the Lives of Under served Youth looks at participant outcomes, parental feedback, Midnight Golf Program’s college readiness approach, and the program’s impact on the community. Download report here.